2011 was supposed to be the first year of many that I didn't really get to chase and while I missed out on a lot of plains chases, I feel blessed that I got to experience the severe weather that I did. ... and the rest as I complete them. In the map below (click for full-size), yellow counties are those I have chased in, green are new this year, red are counties where I've seen tornadoes and pink refers to counties I saw tornadoes this year. Actual locations are marked by small, black inverted triangles. White are new this year. One of the Thurman, Colorado landspouts on May 17th. 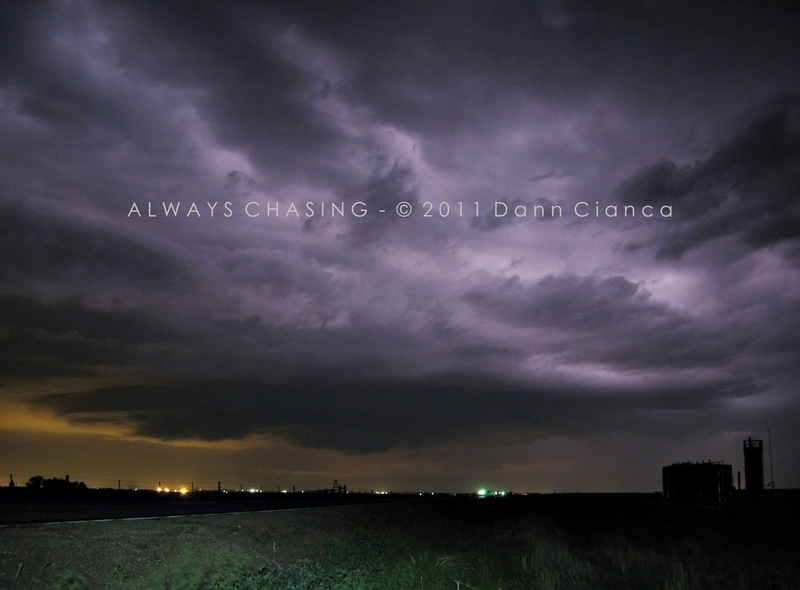 Supercell near Greeley, Colorado on June 8th. 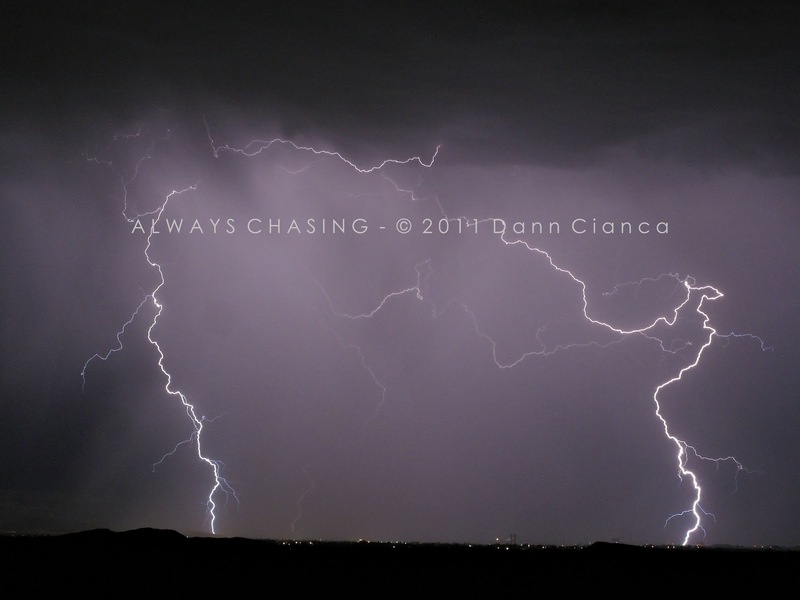 Lightning in the desert near Fruita, Colorado on August 25th. 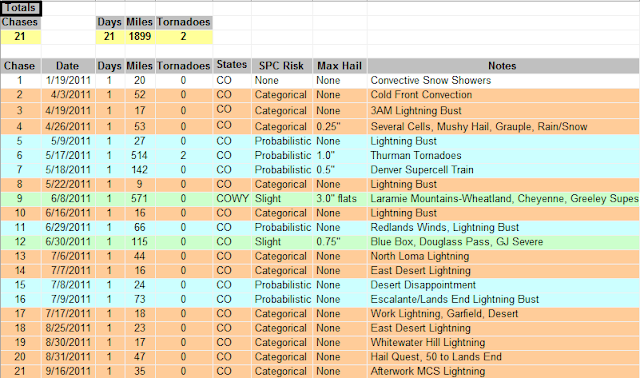 As of the end of 2011, I have documented 18 tornadoes in just three states, from 157 chases and over 53,208 miles. 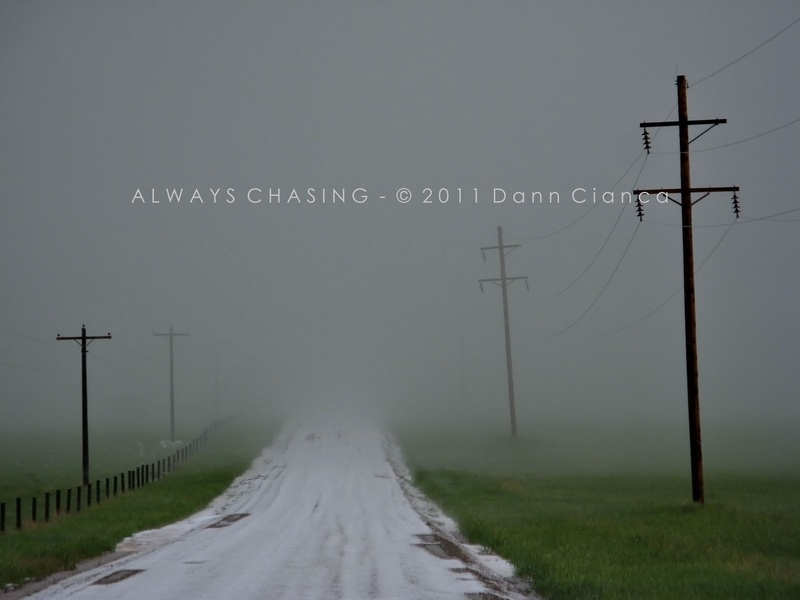 Many have driven farther and seen more, but I'm happy to get out and chase a storm, regardless of tornadic threat, whenever and wherever I can. 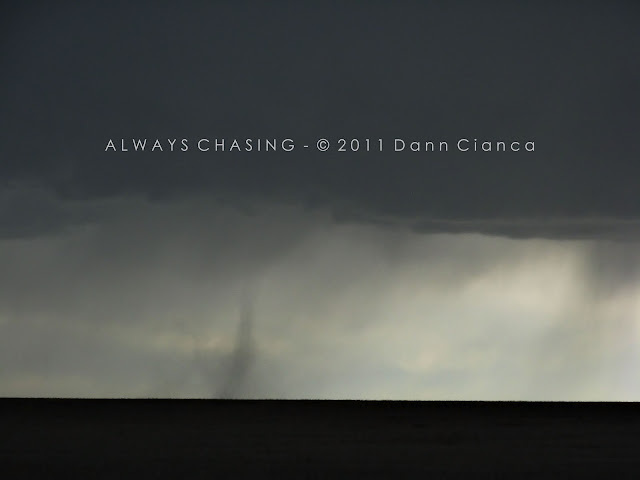 Always chasing.